While on vacation in Switzerland, Ella (9) made a friend that didn’t speak English, so I downloaded them the SayHi Translate App. 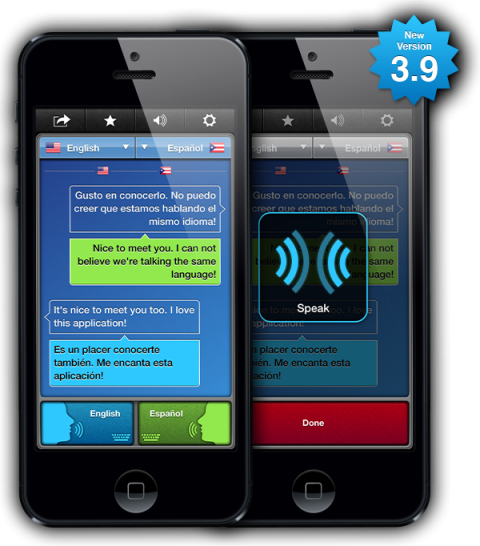 The app covers 43 languages and dialects. While it’s not always perfect, it sure is helpful and makes for a good laugh here and then. What an amazing time we live in. So good to know! I’m visiting Switzerland in a week but didn’t even think about getting a translating app yet… Such a mess! Did you happen to visit Geneva at all? Just wondering if you can share any other tips! This is a really nice app! Even better than the app design from Google. Thanks for sharing.